As the nights draw in, the burglars come out. Unfortunately this time of year sees an increase in burglaries. 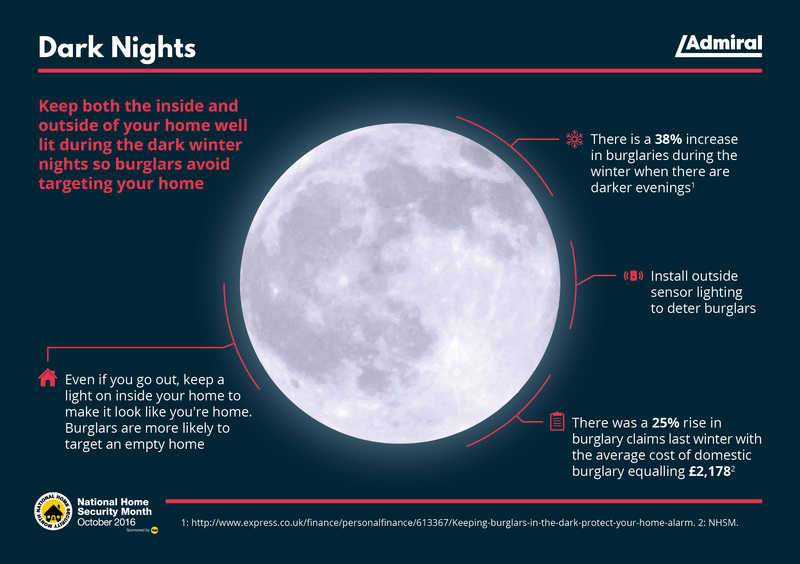 Discover some facts and tips about how to keep your home safe as the clocks go back on the 30th October and the nights get darker. If you would like any information on how to keep your home secure, please call us on 01737 855 900 or email us at info@admiralsecurity.co.uk. We offer a free survey of your property so do not hesitate to call us now.